There are all sorts of spirit-dwelling and magicked objects throughout the wizarding world. While that can make some things a touch more dangerous, it also makes everything non-stop interesting. Who would trade a little risk for normalcy if that was the cost!? Of course, when you wear a pair of bewitched shoes, you might change your tune... at least right away. Who knew that there was a ghost in Hogwarts that had a particular love for the dance!? And who knew that they'd really like to hop into your shoes... literally? 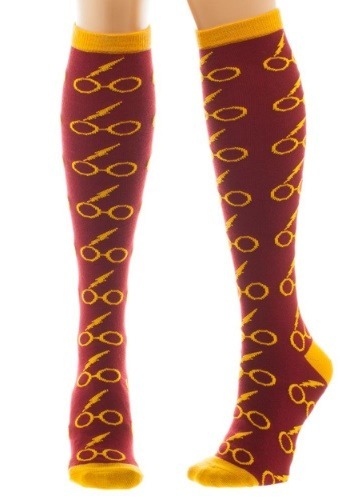 Recover and take your legs for yourself when you wear these Harry Potter Glasses Knee-High Socks. 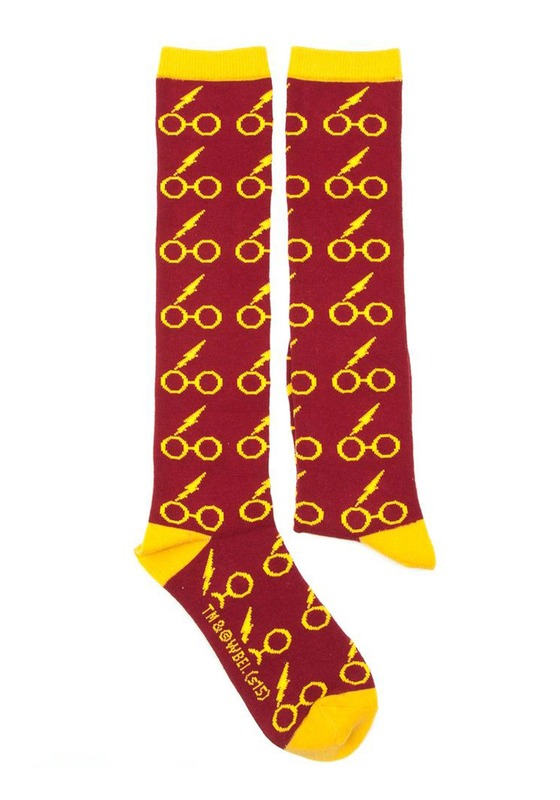 The spirit of Gryffindor's courage is spread throughout these socks and will ensure that your cursed days are long gone. Chase your blues away today and start dancing on your own terms! Being cute is always a bit of a boon in the wizarding world. Whether because you're a cute little monster that nobody can dare squish or a wizard who might be overlooked during Snape's nasty commentary. Either way, these Harry Potter-themed Knee-High Socks are too cute to ignore! Step into the wizarding world and make your mark with these adorable socks!